I’m writing Twitter tips for writers. I know, I thought all the writers would have got the memo by now too. Just kidding. I know you’re not on Twitter because you’ve heard it’s dead and you don’t understand it and you don’t know what you’d do with 10,000 followers anyway (all real things writers have said to me, by the way). And that’s OK. But I think you should be on Twitter because that’s where the writing people are. Because everyone’s there, and you are a writer, I’d like to take this opportunity to prompt you to re-consider being there. Or if you haven’t visited in a while, to log back in. Pull up a chair and get ready to take some notes, because these are the five most important things to pay attention to on Twitter if you want to connect with any of the types of people listed above. Use the @mention tool as much as possible. One of Twitter’s strengths is giving you direct access to people you don’t know, but want to. And when you @mention someone (this means tagging the Twitter user in a tweet) it grabs their attention and helps them notice you in a not-creepy way. Even though the landscape has changed over the years, Twitter is still all about connecting. When you compose tweets, you should be thinking about who you can mention in it. By integrating @mentions into your tweeting strategy it helps keeps your content focused, relays valuable information to your followers, and helps you make connections. Use hashtags; use the right hashtags. Because Twitter is all about connecting, people use hashtags to find and follow information or people. They’re so important on Twitter. Maybe I’m preaching the the choir here, and you already understand hashtag best practices but I’ll mention it again just in case. Hashtags are meant to help people find you and connect with you. So using hashtags and using the right hashtags is pretty important. If you’re wondering how to find hashtags, I have a little guide here and some hashtags for writers to get you started. Using the examples above, here are a few hashtags you could try. Remember, we’re using hashtags to connect with people so we’re not making up our own or trying to be clever. Those are throwaways. As far as Twitter tips go, this is the one that’s made the most difference to my Twitter experience. Lists keep things streamlined, which—if you’ve followed me for any amount of time—you know I’m a big fan of. Lists are curated groups of Twitter users, making it possible to spend less time on Twitter and yet take strategic connecting to the next level. Your lists can be public or private and I recommend a mix of both. Here are a few lists you can create, just to get the creative juices flowing. Once you create these types of lists, you then start adding Twitter users to them. If your list is public the user is notified when you add them to the list. If your list is private then no one knows about it and no one can see or follow your list. I have a few lists of people I’d like to connect with or work with and I keep those private, but some of my lists are curated based on types of writing and I keep those public so others can benefit from them if they want to follow my lists. Twitter tip within a Twitter tip: If you don’t know much about Twitter lists but want to try them, here’s a step-by-step guide to setting up a list. Complete and optimize your bio. Your Twitter bio HAS to be complete AND optimized. You can’t be vague or clever or witty here, not if you want to make strategic connections. And the best way to make these connections is by ensuring your profile makes people want to connect with and follow you. Here are five quick tips for optimizing your Twitter profile. 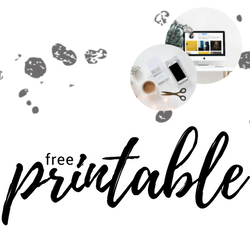 If you want these tips in more detail and download form I have a free printable for you: 5 Tips for Optimizing Your Social Media Profiles. These are kind of basic tips but there are so many profiles out there missing one or more of these key elements. Let’s back up for a second and remember why we’re doing Twitter tips in the first place: We’re freelance writers looking to make connections with writing industry people. In order to make a good first impression and grab their attention, we want our Twitter profiles to be complete and optimized. As far as Twitter tips go, this is one of those “duh” ones. If you want to succeed on Twitter, you have to understand how to use it properly and abide by its best practices. So while you want to create a strategy where you’re not on the platform 24/7, you also want to understand it enough to use it properly. What does this mean? Well, here are a few things that come to mind. It means you join the conversation when you can, in real time. When you provide relevant information and entertainment and build genuine relationships you become a part of a vibrant community that you contribute to and also benefit from. By following best practices it ensures you aren’t seen as a spammer or someone just out for themselves. Also, it keeps you from getting kicked off Twitter. Which happens. I hope these five Twitter tips help clarify a few things for what you should do on Twitter and why. There’s lots more we can cover like what to tweet, how to make connections, and how to curate all this valuable content you’re supposed to share. If you want to go deeper on any of these topics get in touch. 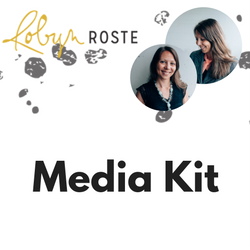 I do offer social media coaching and training, customized to your unique needs. One more thing. You may be interested in my free resource library. This is where I keep my files, downloads, ebooks, worksheets and whatever else I manage to create (like that social media printable I mentioned earlier). I love sharing what I learn and want to keep adding to this library so it becomes a wealth of helpful goodness. This entry was posted in Social Media, The Writing Life, Topics, Writing by Robyn Roste. Bookmark the permalink.